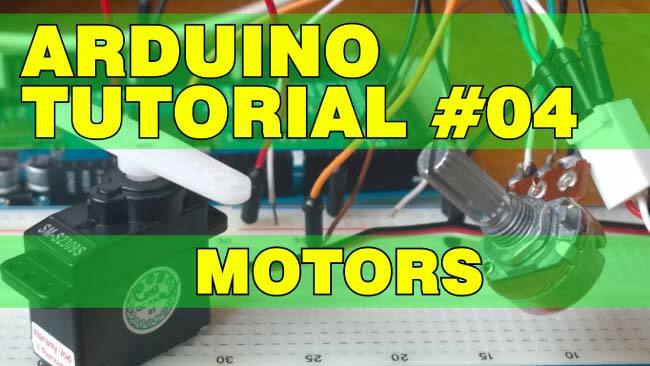 In this tutorial we will learn how to use the MPU6050 Accelerometer and Gyroscope sensor with the Arduino. 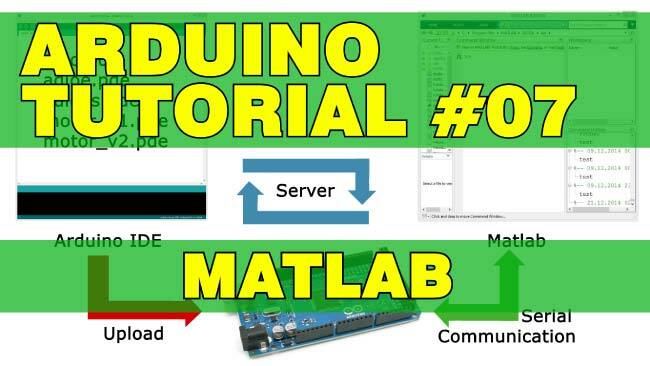 First, I will explain how the MPU6050 works and how to read the data from it, and then we will make two practical examples. 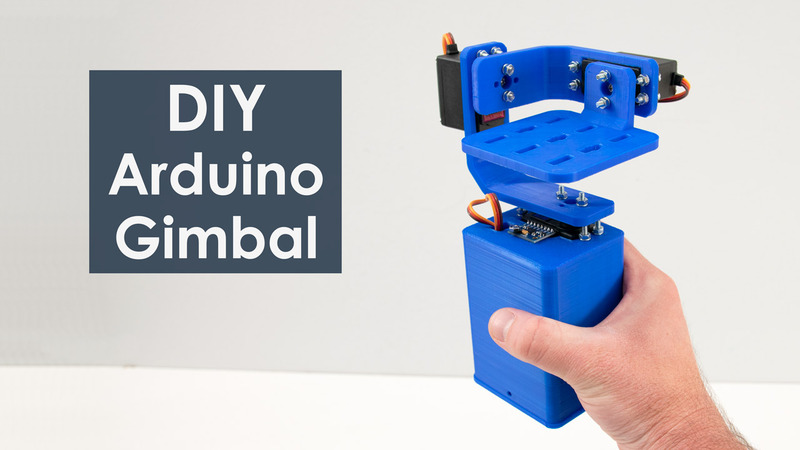 In the first example, using the Processing development environment, we will make a 3D visualization of the sensor orientation, and in the second example we will make a simple self-stabilizing platform or a DIY Gimbal. 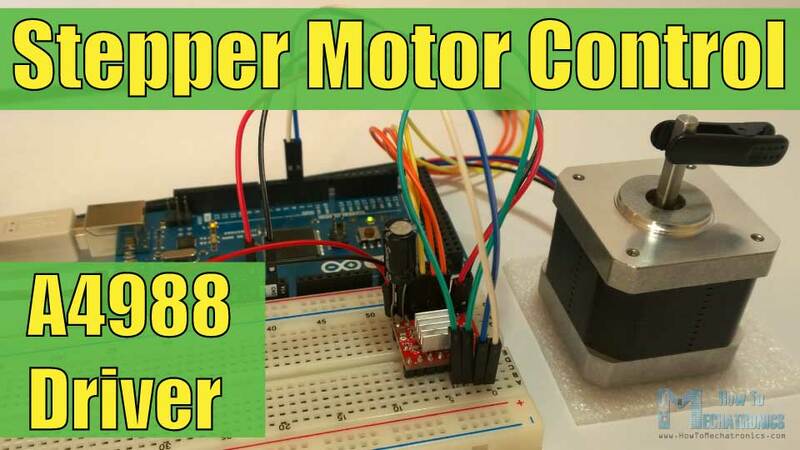 Based on the MPU6050 orientation and its fused accelerometer and gyroscope data, we control the three servos that keep the platform level. The MPU6050 IMU has both 3-Axis accelerometer and 3-Axis gyroscope integrated on a single chip. The gyroscope measures rotational velocity or rate of change of the angular position over time, along the X, Y and Z axis. 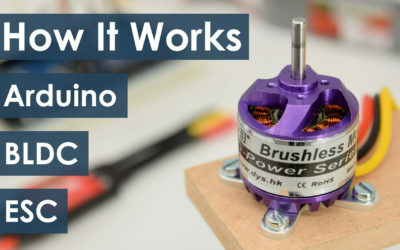 It uses MEMS technology and the Coriolis Effect for measuring, but for more details on it you can check my particular How MEMS Sensors Work tutorial. The outputs of the gyroscope are in degrees per second, so in order to get the angular position we just need to integrate the angular velocity. 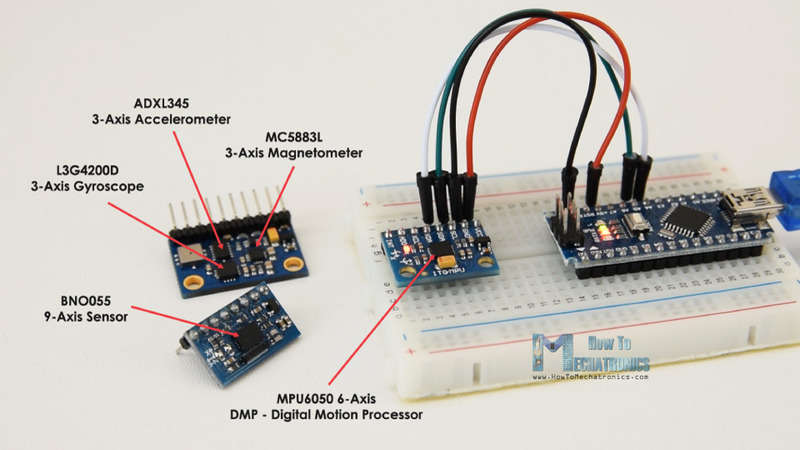 On the other hand, the MPU6050 accelerometer measures acceleration in the same way as explained in the previous video for the ADXL345 accelerometer sensor. 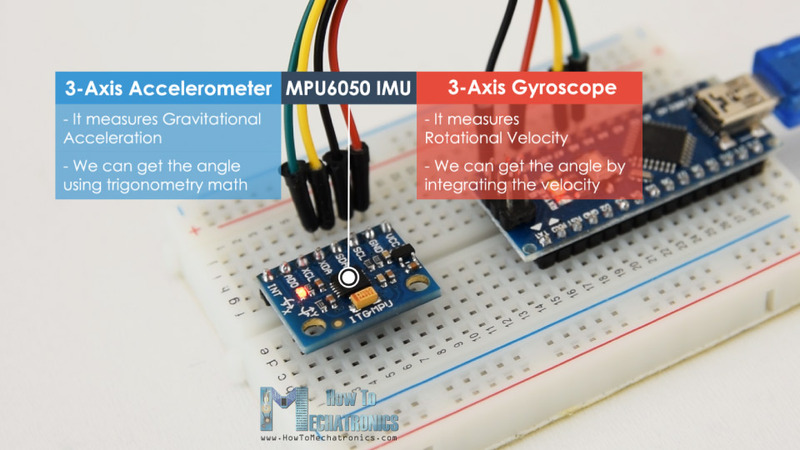 Briefly, it can measure gravitational acceleration along the 3 axes and using some trigonometry math we can calculate the angle at which the sensor is positioned. So, if we fuse, or combine the accelerometer and gyroscope data we can get very accurate information about the sensor orientation. 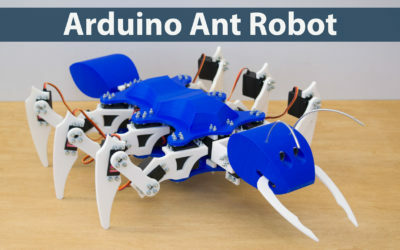 The MPU6050 IMU is also called six-axis motion tracking device or 6 DoF (six Degrees of Freedom) device, because of its 6 outputs, or the 3 accelerometer outputs and the 3 gyroscope outputs. 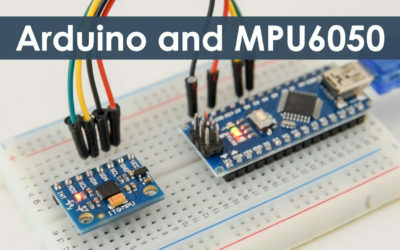 Let’s take a look how we can connect and read the data from the MPU6050 sensor using the Arduino. 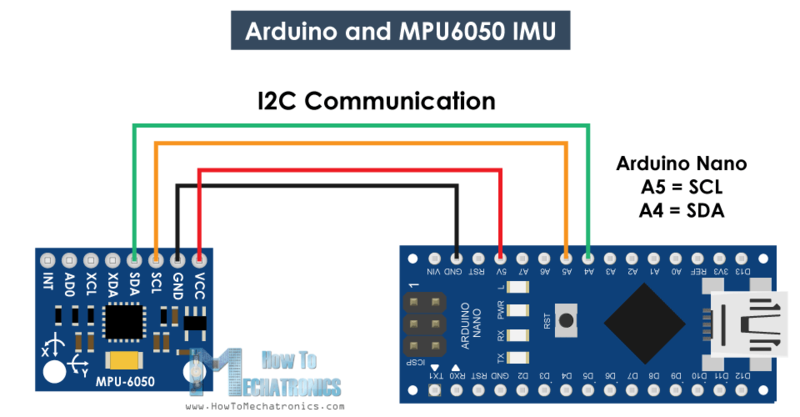 We are using the I2C protocol for communication with the Arduino so we need only two wires for connecting it, plus the two wires for powering. *Please note: These are affiliate links. 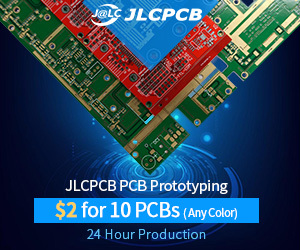 I may make a commission if you buy the components through these links. I would appreciate your support in this way! 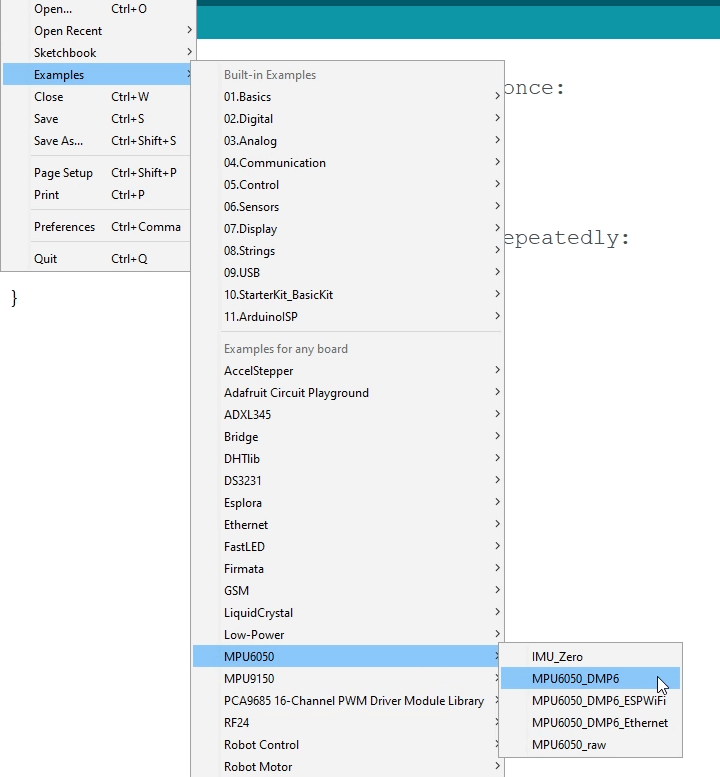 Here’s the Arduino code for reading the data from the MPU6050 sensor. Below the code you can find a detail description of it. // We can call this funtion in the setup section to calculate the accelerometer and gyro data error. From here we will get the error values used in the above equations printed on the Serial Monitor. 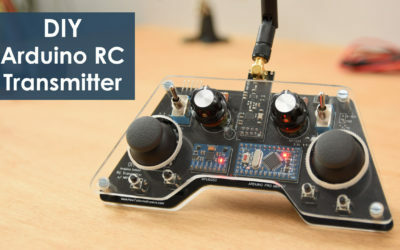 Code Description: So first we need to include the Wire.h library which is used for the I2C communication and define some variables needed storing the data. In the setup section, we need initialize the wire library and reset the sensor through the power management register. In order to do that we need to take a look at the datasheet of the sensor from where we can see the register address. Also, if we want, we can select the Full-Scale Range for the accelerometer and the gyroscope using their configuration registers. For this example, we will use the default +- 2g range for the accelerometer and 250 degrees/s range for the gyroscope, so I will leave this part of the code commented. In the loop section we start by reading the accelerometer data. The data for each axis is stored in two bytes or registers and we can see the addresses of these registers from the datasheet of the sensor. In order to read them all, we start with the first register, and using the requiestFrom() function we request to read all 6 registers for the X, Y and Z axes. Then we read the data from each register, and because the outputs are twos complement, we combine them appropriately to get the correct values. In order to get output values from -1g to +1g, suitable for calculating the angles, we divide the output with the previously selected sensitivity. Finally, using these two formulas, we calculate the roll and pitch angles from the accelerometer data. Next, using the same method we get the gyroscope data. We read the six gyroscope registers, combine their data appropriately and divide it by the previously selected sensitivity in order to get the output in degrees per second. Here you can notice that I correct the output values with some small calculated error values, which I will explain how we get them in a minute. So as the outputs are in degrees per second, now we need to multiply them with the time to get just degrees. The time value is captured before each reading iteration using the millis() function. Finally, we fuse the accelerometer and the gyroscope data using a complementary filter. Here, we take 96% of the gyroscope data because it is very accurate and doesn’t suffer from external forces. The down side of the gyroscope is that it drifts, or it introduces error in the output as the time goes on. Therefore, on the long term, we use the data from the accelerometer, 4% in this case, enough to eliminate the gyroscope drift error. However, as we cannot calculate the Yaw from the accelerometer data, we cannot implement the complementary filter on it. Before we take a look at the results, let me quickly explain how to get the error correction values. For calculate these errors we can call the calculate_IMU_error() custom function while the sensor is in flat still position. Here we do 200 readings for all outputs, we sum them and divide them by 200. As we are holding the sensor in flat still position, the expected output values should be 0. So, with this calculation we can get the average error the sensor makes. We simply print the values on the serial monitor and once we know them, we can implement them in the code as shown earlier, for both the roll and pitch calculation, as well as for the 3 gyroscope outputs. 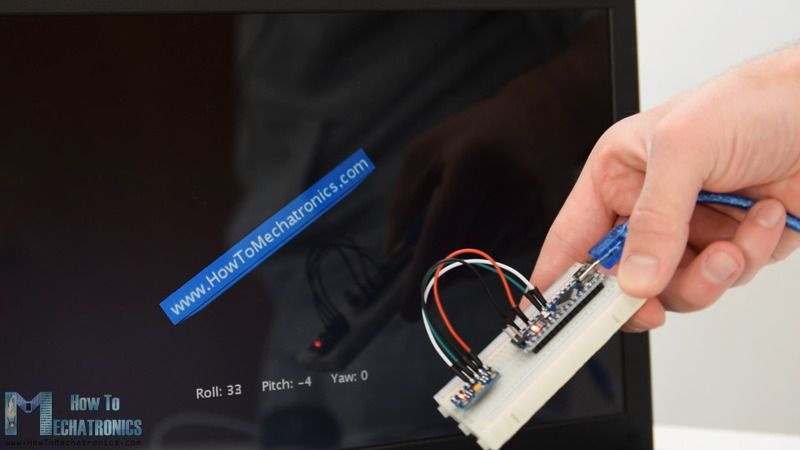 Finally, using the Serial.print function we can print the Roll, Pitch and Yaw values on the serial monitor and see whether the sensor works properly. // reads the data from the Serial Port up to the character '.' and puts it into the String variable "data". 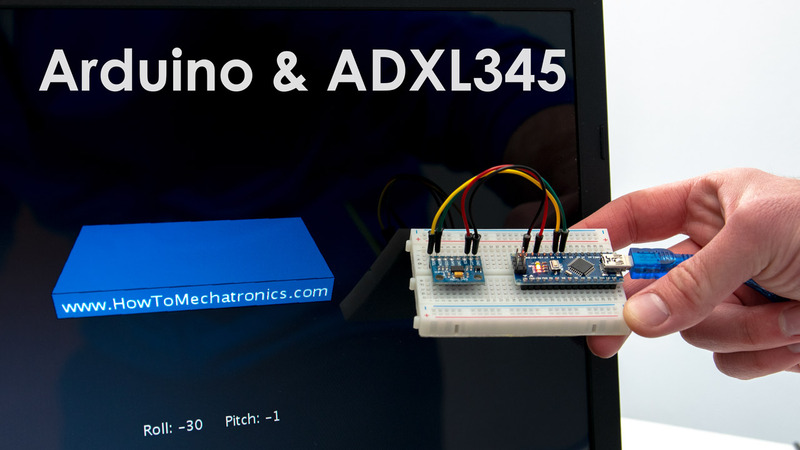 // split the string at "/"
Here we read the incoming data from the Arduino and put it into the appropriate Roll, Pitch and Yaw variables. In the main draw loop, we use these values to rotate the 3D object, in this case that’s a simple box with a particular color and text on it. 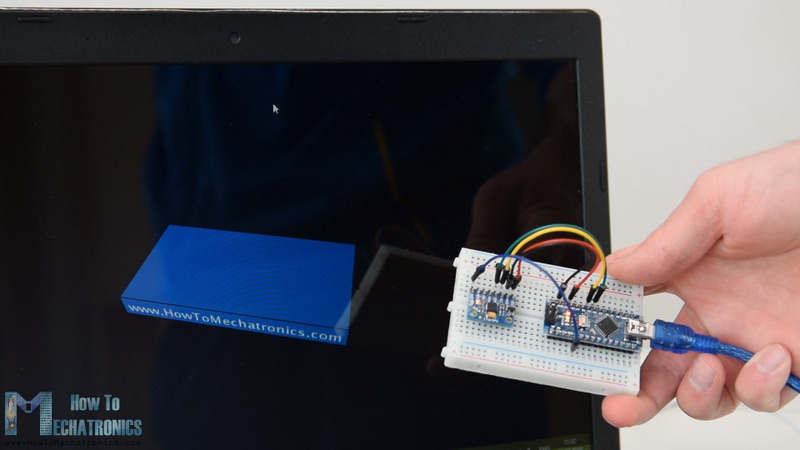 If we run the sketch, we can see how good the MPU6050 sensor is for tracking orientation. 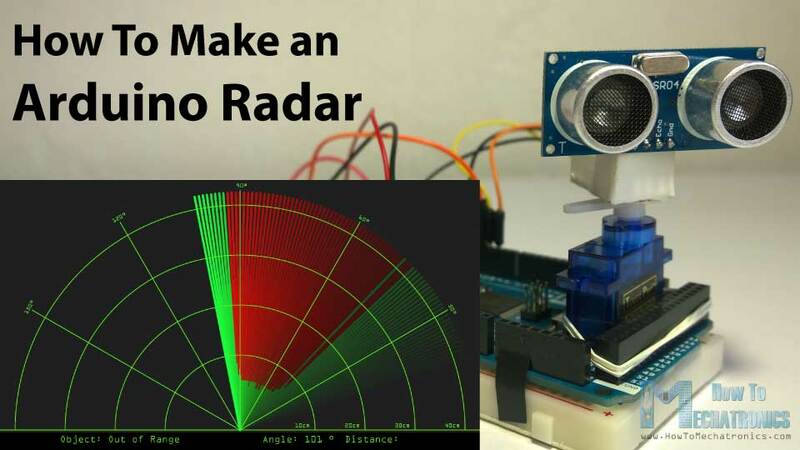 The 3D object tracks the orientation of the sensor quite accurate and it’s also very responsive. As I mentioned, the only down side is that the Yaw will drift over time because we cannot use the complementary filter for it. For improving this we need to use an additional sensor. 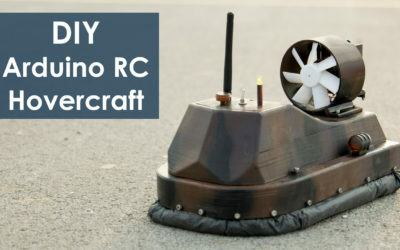 That’s usually a magnetometer which can be used as a long-term correction for the gyroscope Yaw drift. However, the MPU6050 actually have a feature that’s called Digital Motion Processor which is used for onboard calculations of the data and it’s capable of eliminating the Yaw drift. Here’s the same 3D example with the Digital Motion Processor in use. We can see how accurate the orientation tracking is now, without the Yaw drift. 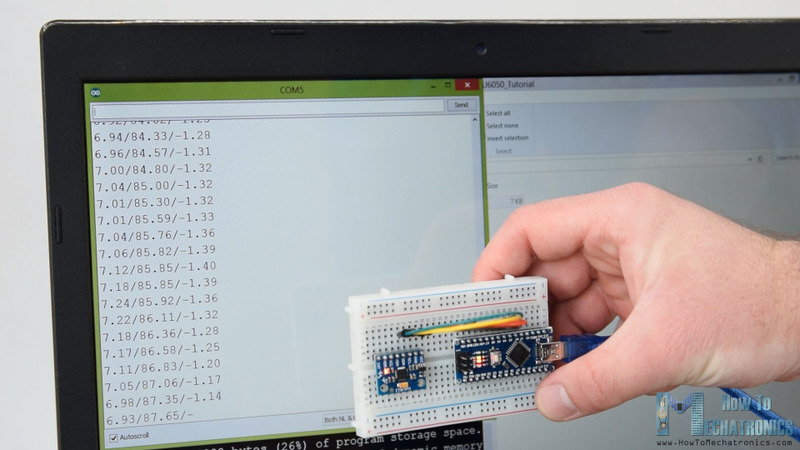 The onboard processor can also calculate and output Quaternions which are used for representing orientations and rotations of objects in three dimensions. In this example we are actually using quaternions for representing the orientation which also doesn’t suffer from Gimbal lock which occurs when using Euler angles. Nevertheless, getting this data from the sensor is a bit more complicated than what we explained earlier. 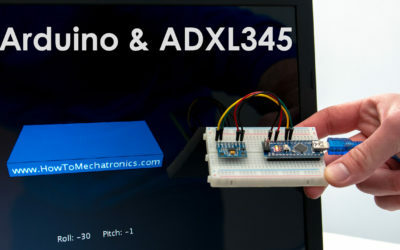 First of all, we need to connect and additional wire to an Arduino digital pin. That’s an interrupt pin which is used for reading this data type from the MPU6050. 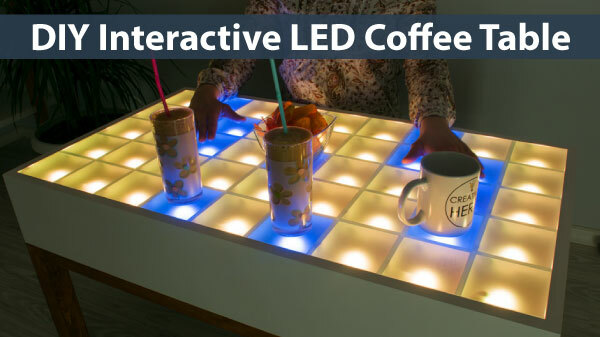 The code is also a bit more complicated so that’s why we are going to use the i2cdevlib library by Jeff Rowberg. This library can be downloaded from GitHub and I will include a link to in on the website article. Once we install the library, we can open the MPU6050_DMP6 example from the library. This example is well explained with comments for each line. So here using the serialEvent() function we receive the quaternions coming from the Arduino, and in the main draw loop we use them to rotate the 3D object. If we run the sketch, we can see how good quaternions are for rotating objects in three dimensions. 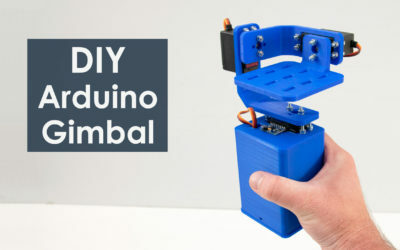 In order not to overload this tutorial, I placed the second example, the DIY Arduino Gimbal or Self-Stabilizing platform, on a separate article. 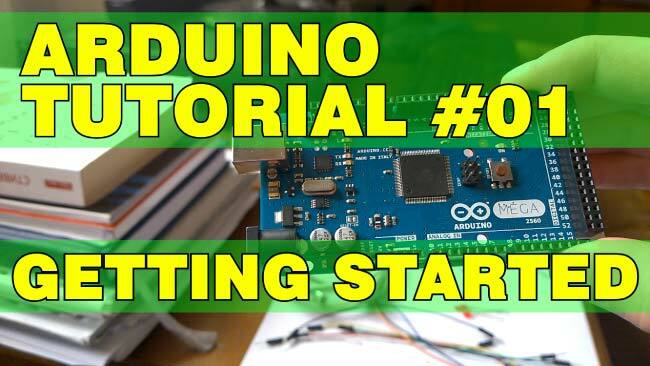 Feel free to ask any question related to this tutorial in the comments section below and also don’t forget to check my collection of Arduino Projects. as shown in the new release (February 2019) of the MPU6050 library. 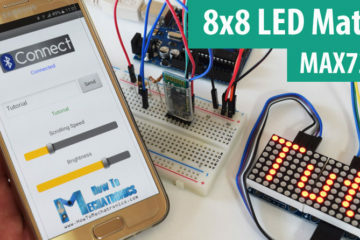 Thanks for delivering a really good tutorial on how to use this breakout board. Hey, thanks for the input! Get notified when I publish new projects and tutorials straight to your inbox. 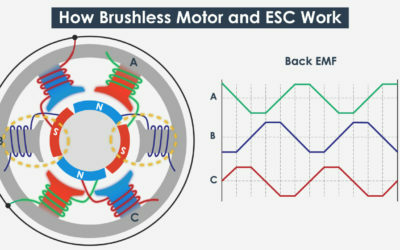 HowToMechatronics is an education website in the area of Mechanical, Electrical and Computer Engineering. 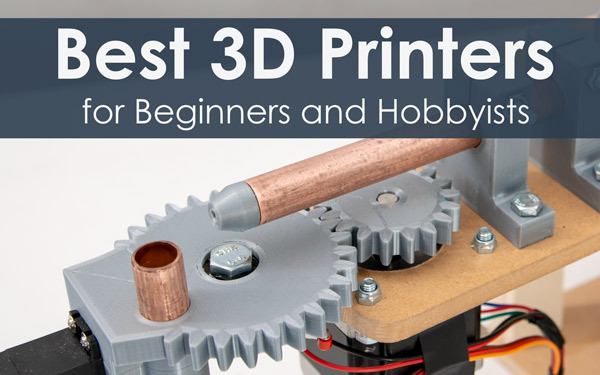 Tutorials, Tips, Tricks, How It Works, Projects, Examples, Source Codes, Download files and much more can be found here.